Twitter’s release of a portion of tweets by the clerical regime’s cyber machine reaffirmed the Iranian Resistance’s long held position that Iran’s religious fascism is the primary source of hostility and vilification vis-a-vis the National Council of Resistance of Iran (NCRI) and the People’s Mojahedin Organization of Iran (PMOI/MEK). The regime views the destruction of the Iranian Resistance as the only way to save itself from the prospect of inevitable overthrow. Tehran’s twitter campaign that took unprecedented proportions in early 2018, immediately after the start of the nationwide uprising, reveals that simultaneous with increased repression inside Iran, the clerical regime is laying the groundwork for acts of terrorism against the Iranian Resistance abroad by dramatically stepping up its campaign of lies and demonization. 1. In September, Twitter closed 770 accounts of the Iranian regime, declaring them false accounts for government propaganda and disseminating fake news and lies. At the same time, Facebook, Instagram and Google also closed similar accounts related to the Iranian regime. On October 17, Twitter published content associated with these 770 accounts, amounting to 1,122,936 tweets, along with embedded photos and videos. 2. Although the accounts closed by Twitter were primarily seeking to influence and interfere in US elections, a significant number of tweets are devoted to spreading false information and demonization of the PMOI and the Iranian Resistance. The accounts that were shut down obviously reveal only a small fraction of the regime’s disinformation machine, and the tweets that were exposed continue to exist in many of the clerical regime’s other, still active, Twitter accounts, most of which insist on having no ties to the Tehran regime. 3. Most of the tweets related to the PMOI are in Persian, followed by English, Arabic, Spanish, French, Albanian, and Pashto. They began in 2012, and grew in scale in 2017 and 2018, in such a way that the number of tweets in 2018 is more than the total number of tweets published over the previous six years. 4. The disclosed tweets clearly illustrate how the regime uses media coverage and "friendly correspondents" to mold its lies. "Iranians masqueraded as foreign journalists to push political messages online, new Twitter data shows," the Washington Post wrote on October 17. 6. The disclosed tweets reveal that the regime has set up various accounts and at least 70 hashtags, tailored to its needs and the Resistance’s activities at various times. For example, Tehran’s cyber machine produced the hashtags #BanTerrorOrg, #BanMEK, #IranHatesMEK, and #No2MEK before the annual gathering of the Resistance in Paris in June. In many cases, the regime tried to pretend that these hashtags were produced by users who were opposed to both the regime and the Iranian Resistance in Paris in June. This ploy is commonly used by the mullahs’ intelligence apparatus and cyber army, and by its mercenaries and sleeper cells, to confuse and to muddy the waters.  At the same time, they claim that the PMOI labels anyone who opposes them an intelligence agent without provision of any proof. 7. #IranHatesMEK was activated on July 1, 2017, the day the Resistance held its annual gathering that year. 8. #BanTerrorOrg, #BanMEK and #هزارجلاد هزاراشرف (Farsi) were introduced in the days prior to the June 30, 2018 gathering, and widely used by the regime’s fake accounts in a bid to overshadow the gathering. 9. #BanTerrorOrg announced a Twitter Storm against the PMOI scheduled for 8PM on June 29, 2018, the day before the gathering. - The #MEK is a terrorist group. #Albania cannot host a terrorist group without consequences. This is not #Afghanistan or #Iraq or #Syria in which groups hide in the chaos and violence. This is a peaceful, democratic country which wishes to join the #EU. - @N0_H8_EVER You're right! Maryam Rajavi is their leader. They are officially from the MEK. These guys were officially trained by USA gov...They have blood of thousands of Iranians on their hands.They're an old Marxist cult,renounced Marxism only recently to receive USA aid a few yrs ago. - Iranian youth, young men whose roots and civilization go back to Cyrus the Great (good speech, good thought, good behavior), not Maryam Rajavi, who has ugly speech, wrong thought and terrorist behavior. - Why did the Saudis promote #IStandwithMaryamRajavi? They gave her money. They don’t want their investment to fail. As the officials of Twitter stated on October 17, 2018, "It is clear that information operations and coordinated inauthentic behavior will not cease." To prolong its shameful rule and to prepare the grounds for terrorism, the clerical regime will not abandon deception and deceit, and it will not hesitate to exploit social networks and other Internet services. Most of the accounts, pages and websites of the regime, or its IRGC guards and torturers posing as ordinary users or opponents of the regime, are still active. After Facebook and Twitter shut down the clerical regime’s accounts, Tehran’s foreign minister Zarif foolishly called for the closure of accounts of supporters of the Resistance. He tried blackmail and deceit in his haste to use "mullah-friendly reporters" and agents of the Ministry of Intelligence. The bloodied and hideous hands of religious fascism must be removed from Facebook, Twitter, Instagram, Google and Wikipedia. Accounts produced by the mullahs’ regime under whatever name or title should be exposed and closed. The clerical regime should not be allowed to use the Internet to lay the groundwork for its terrorism and inhumane objectives.